Japan Loto 7, which is also called Takarakuji Loto 7, is a Japanese lottery that offers players the chance to win some awesome prizes at some pretty good odds. Its guaranteed minimum jackpot is ¥600 million (€4,816,941), but if it rolls over, it can grow to almost twice this size. As a result of these two factors alone, it’s no wonder this game is as popular as it is, but there are a few other things that stand out about it. Japanese lottery history goes back centuries to various simple betting games that were played around the country, but the origins of more modern lotteries can be traced back to post-WWII. With the country picking up the pieces following the war and people gradually being able to enjoy the smaller things in life, lotteries began popping up to give people some hope and a chance at radically changing the course of their lives for the better. One thing worth noting that’s indirectly connected to Loto 7 and all other Japanese games of luck is the maneki-neko (literal translation being “beckoning cat”), a lucky cat charm with an upright paw that is believed to bring good fortune to the owner. 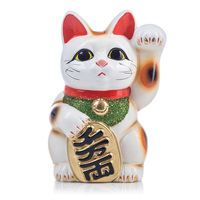 The maneki-neko is often seen at the entrances to stores and restaurants, and it’s almost always present at lottery ticket retailers to give players an extra dose of luck. Playing Japan Loto 7 is very straightforward: you choose 7 numbers from a range of 1 to 37, and if your selection matches the numbers that are drawn, you win the jackpot. After the 7 main numbers are drawn, two bonus balls are also pulled from the same pool; however, these are only used to determine the second-tier and sixth-tier winners. In other words, the bonus numbers have no influence on who wins the jackpot. Loto 7 is a rollover lottery, meaning its jackpots will roll over (“carry over”, as the Japanese prefer to call it) if nobody wins them. Once a jackpot reaches the ¥1 billion (€8,028,236) cap and there is still no winner, it will roll down to the next prize tier. For a major national lottery that offers prizes equivalent to millions of euros and dollars, Japan Loto 7 has pretty good odds: 1 in 10,295,472. These odds are comparable to Austria Lotto 6 (1 in 8,145,060) and Hungary Hatoslottó (1 in 8,145,060), both of which have similar and sometimes even bigger jackpots. However, if you’d rather play a game with slightly tougher odds but much bigger jackpots, then Canada Lotto 6/49 (1 in 13,983,816) is well worth checking out. Meanwhile, a game like Chile Clasico Loto (1 in 4,496,388) offers both better odds and sometimes much better jackpots, and Japan’s own Loto 6 offers better odds (1 in 6,096,454) but smaller grand prizes. The overall odds of winning a prize in Japan Loto 7 are 1 in 42, which isn’t anything spectacular, but it’s certainly not the worst either. All Loto 7 drawings are held at the Tokyo Lottery Dream Museum, the headquarters of operator Takarakuji, at 7 pm JST on Friday evenings. All prizes must be claimed by no later than 365 days from the day that the draw was held. The Loto 7 jackpot caps out at ¥1 billion (about €8,028,236), so all of the biggest jackpots in the game’s history have been this exact amount. Luckily, it’s won fairly often—basically once per month—which says quite a lot about how good the Loto 7 odds are. The only way to receive Loto 7 winnings is to get them in a single lump sum. In other words, there is no way to receive annual payments via an annuity option or any other payment schedule. All Loto 7 winnings are 100% tax free at the source, meaning that Japan’s government will not take a cut of whatever prize—including the jackpot prize—that you win. However, there is still a chance that the government of whatever country you call home will collect taxes on your windfall when you transfer the funds into your bank account. If you’re not sure whether or not your country does this, it’s always a good idea to read up a bit about this topic to avoid any disappointments later. 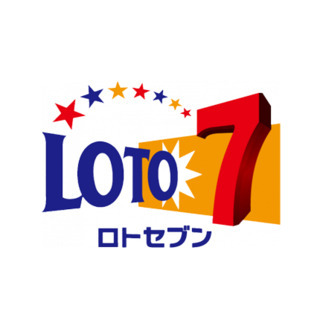 If you’re physically in Japan, you can buy Loto 7 tickets (and tickets to all other Japanese lotteries) at lotto retailers, at participating banks’ ATMs, and online through the operator’s official website. 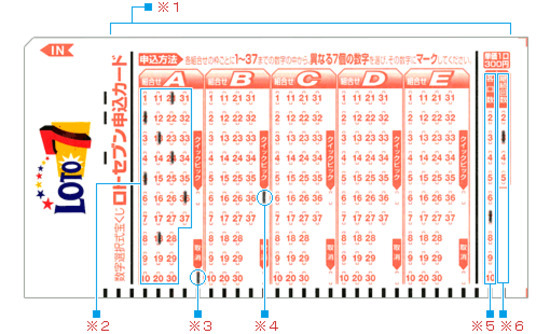 However, if you want to play the game from abroad, then the only way to do so is via an online lottery site. Though most online ticket agents don’t feature Loto 7 because they tend to focus on bigger and better-known international lotteries, a few of the best online lottery sites include it and several other Japanese lotteries among their roster. If you haven’t played lottery online before, then you’re in for a treat. In fact, once you try it, you might never go back to the traditional method again. Japan Loto 7 – Is It Worth Playing? Although Japan Loto 7 isn’t at the top of our list of the world's best lotteries, it’s overall a fairly well-balanced lottery: it’s got good prizes, fair odds, a simple format, and a total of six prize tiers. If those aren’t the characteristics of a lottery game that’s worth playing, then what it is? I prefer to play Loto 6 (from Japan too), but this lotto some nice odds and prizes too! I think both are good.